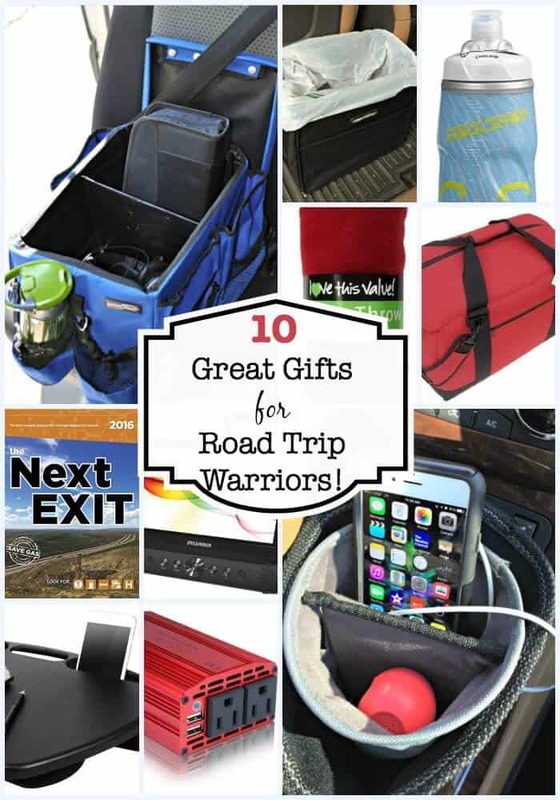 10 Great Travel Gifts for Road Trip Warriors! Is this the year that you are planning that once-in-a-lifetime cross-country road trip with the kids? Perhaps you'll be spending the holidays traveling to Grandma's house seven states away? Or maybe you just spend hours in your car each week driving your kids to all of their travel team games! 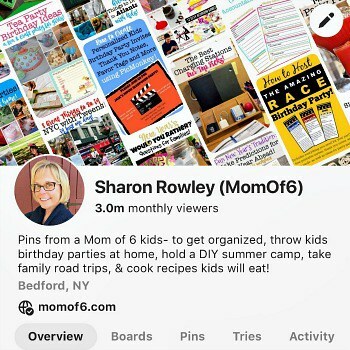 No matter what makes you a card-carrying member of the “road trip warrior” club- you know how important it is to have an organized car and one that is set up to entertain the kids while you are on the go. Here are 10 items that make great travel gifts to take along on family road trips! 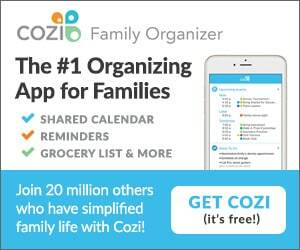 If I am going to be in the car for a long period- I need to keep it organized! And one of the biggest things I can do is to corral all of the items that the kids bring into the car, so they aren’t all over the floor when we make a rest stop! If your kids sit in a bench style row of seats and there is an open seat between them, then you will love this large kids car seat organizer This is an affiliate link: MomOf6 earns a commission if you purchase, at no additional cost to you. with plenty of space for books, DVDs, iPads, snacks, as well as two cup holders to keep drinks upright. And this bin comes with a top that can be flipped over and used as a food tray- which we find to be quite handy! 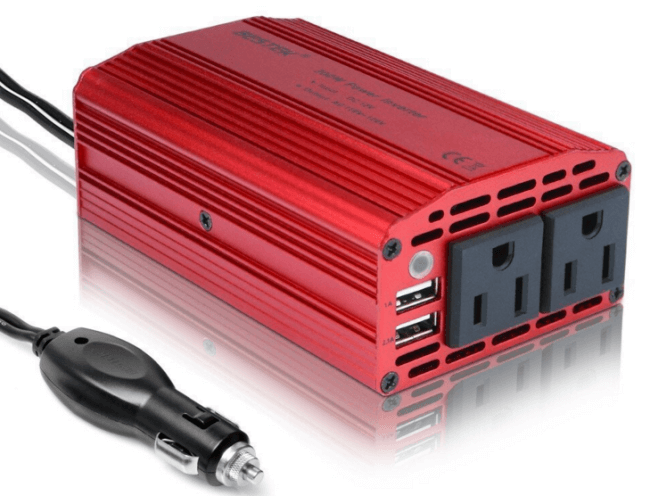 If your road trips are all under 2 hours, you probably don’t need a power inverter for your car. Or, if you are lucky enough that your newer model vehicle comes with power ports next to every seat- then you’re all set! But for those of us who need to get power to each family member so that DVD players can run or other electronic devices can be recharged while in transit- then you might want to consider investing in a power inverter This is an affiliate link: MomOf6 earns a commission if you purchase, at no additional cost to you. . This box plugs into a standard car outlet and makes the power supplied by your car’s battery available to regular plug-in devices. We snake extension cords under the passenger seats so that everyone has access to an outlet to plug in a device (one per person!) as we travel. 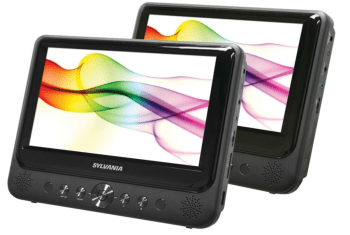 When we purchased our big family vehicle, we specifically did not want to have DVD players permanently installed in the car, because we didn’t want our kids to expect to watch a movie every time we drove just across town. But a long road trip is an entirely different matter! Over the years we’ve gone through a lot of different DVD players- from having the kids share one screen between two of them, to having a two-screen model where both screens played the same film, to this dual-screen DVD player This is an affiliate link: MomOf6 earns a commission if you purchase, at no additional cost to you. which we have had for over 3 years now and gives us the option of either playing the same movie on two screens (a cord connects the two screens) or playing two separate movies each on its own screen. The DVD players came with straps that allow you to mount them onto the back of the headrest of the seat in front of you, or more often, my kids just like to hold them in their laps while they watch a movie. If you are going to allow your kids to eat in the car, which we always do on road trips, then there is going to be a fair amount of trash. And if you are going to indulge them in a mid-afternoon ice cream sundae on a road trip- there is going to be trash that leaks! 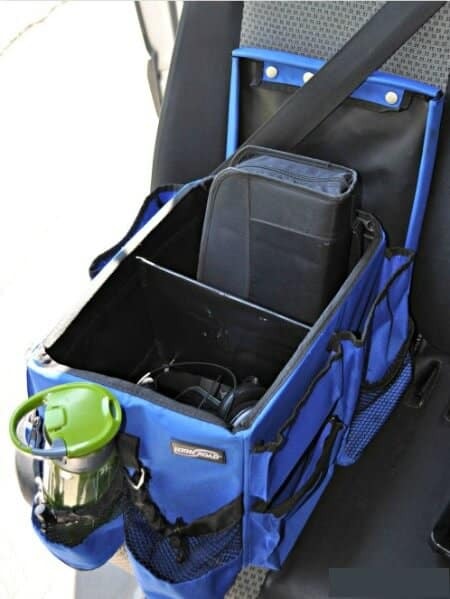 To protect your car (and keep you sane), you are going to want to have a few of these leak-proof trash bins This is an affiliate link: MomOf6 earns a commission if you purchase, at no additional cost to you. on hand, at least one for every row of kids in the car! I line mine with plastic shopping bags so the trash can easily be thrown out at rest stops, but sometimes those plastic bags leak- so it is nice to know that the trash bin will keep it contained until you can rinse it out at your destination! And speaking of leaks…. it is important to travel with leak-proof water bottles! Sure- you can pass out plastic bottles of Gatorade or water, but you and I both know the kids are going to forget to replace the cap, or worse, drop the cap on the floor where they won't be able to find it en route! The next thing you know, someone bumps something and their drink spills all over the floor! These CamelBak bottles This is an affiliate link: MomOf6 earns a commission if you purchase, at no additional cost to you. make things so much easier! They have a twist-lock top which makes them completely leak proof. And even if your kids forget to lock the top, if they drop it on the floor it won't easily spill out while they are retrieving their bottle. 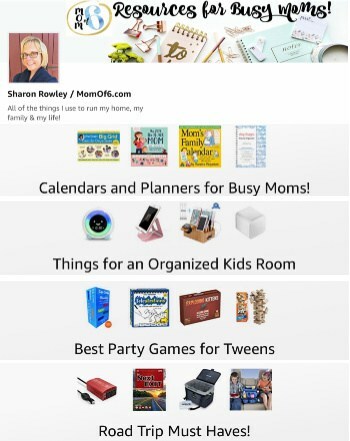 Then be sure to check out this list of the Best Travel Games This is an affiliate link: MomOf6 earns a commission if you purchase, at no additional cost to you. 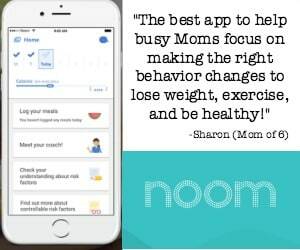 for kids over on my Amazon influencer page This is an affiliate link: MomOf6 earns a commission if you purchase, at no additional cost to you. ! 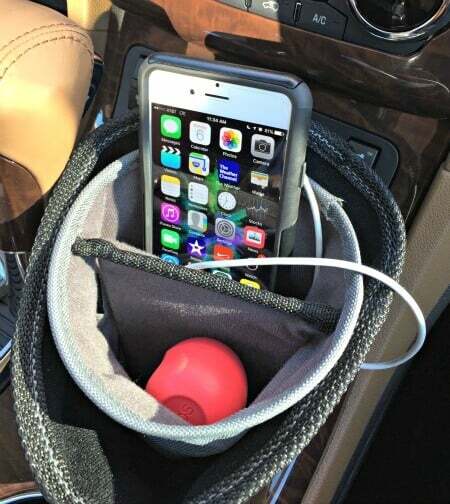 I like to have my phone, my charger, my sunglasses and my EOS lip balm handy- but I couldn't squish all of that into a cupholder- until now! I am loving this cupholder organizer This is an affiliate link: MomOf6 earns a commission if you purchase, at no additional cost to you. .
For those of us that like to get a little work done while someone else drives, these lap desks This is an affiliate link: MomOf6 earns a commission if you purchase, at no additional cost to you. are fantastic! I love how they have compartments at the top that can hold your phone, pencils, pens, and post it notes. 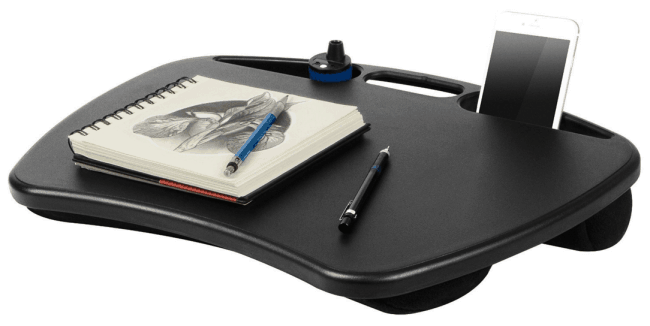 There is plenty of room on the desk to write, draw, or work on your laptop. It allows me to make great use of all of that time we spend on the road! #8 Rest Stop Guide Book! 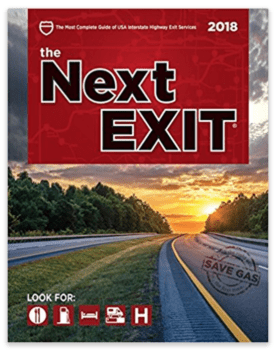 I love, love, love this book called The Next Exit This is an affiliate link: MomOf6 earns a commission if you purchase, at no additional cost to you. that contains a listing of fast food places, restaurants, gas stations, and hotels at upcoming exits on all of the interstates across the United States. When the kids start getting hungry in the car, we can just look up what’s available up ahead at the next 3 or 4 exits and decide which place we would like to stop at. 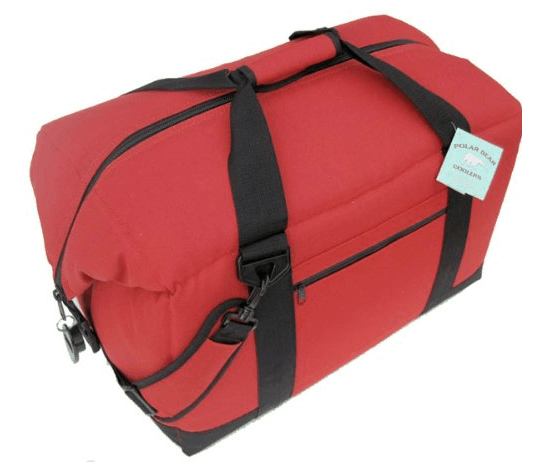 For our big road trips, we take this Polar Bear soft cooler This is an affiliate link: MomOf6 earns a commission if you purchase, at no additional cost to you. . 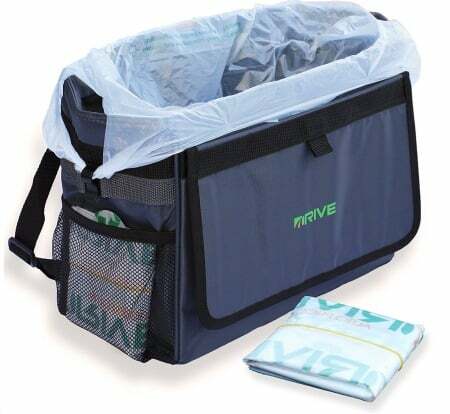 It keeps food cold for 1 to 2 days, and it has enough room inside for breakfast on the road or a picnic lunch. Instead of filling it with ice which melts and turns into puddles of water, we instead freeze water bottles (we drain the first inch or two of water out of the water bottle and then freeze it) to use as giant ice cubes. We also purchased these re-freezable ice cube sheets This is an affiliate link: MomOf6 earns a commission if you purchase, at no additional cost to you. 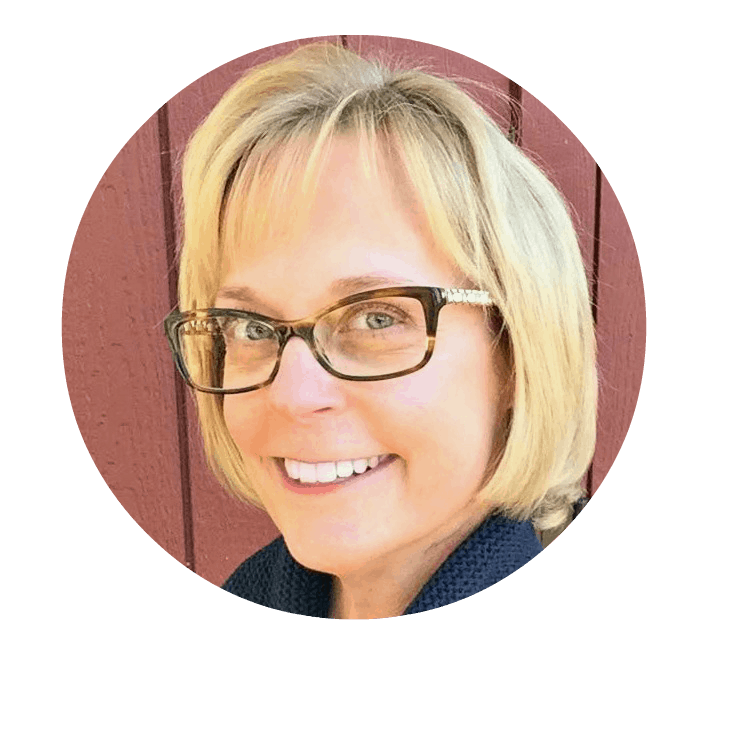 – they are very lightweight, and they wrap around bottles and other things we are trying to keep cold, so we can fit them in between items in the cooler and we keep everything nice and cold. Especially when we take road trips in the colder months, my kids love having a lightweight fleece blanket to wrap around them. And I love that these car blankets This is an affiliate link: MomOf6 earns a commission if you purchase, at no additional cost to you. are warm and fuzzy, yet roll up into a small size so they can be tucked next to an armrest or under a seat when not in use. Things to Do in Williamsburg with Kids! Things to Do in New Smyrna Beach Florida with Kids!